Today marks the end of a period of almost hundred years of consumer payments in the Netherlands. Here is a brief reflection on this period. My hope is that we retain our innovative mindset and that we abandon old school practices like: competition on technology and inward-thinking-based marketing practices. It all started out with a certain demand of the public and small retailers, around 1900. It took however more than ten years before the city giro of Amsterdam (1916) and the national giro of the Netherlands (1918) were set up. In the period leading up to this moment, the cashiers were asked whether they wished to improve their services, as this might lead to the parliament to conclude that no national giro was necessary. Their response was too meagre as a result of which they created their biggest rival: the national giro system, operated by government. This system effectively created a benchmark for the private industry by offering (some time after it's start) payment services for free to the public. Today we would call this the Internet model, but in those days, this lead to repeated discussions on the undue competition element. Bankers and cashiers assumed that the national giro was cross-subsidized by government; while effectively the reverse became true. The national giro acted as a cash cow that covered some of the other costs for the Ministry of Transport (including the costs of post offices etc). The city giro Amsterdam has stood out mostly for its innovations: the use of modern bookkeeping machines, the introduction of photo-imaging (in the 1930s) to process payments easier as well as the early introduction of a payment card to the public. The national giro, in turn, was early to create a mechanism of inpayments that could be used by government services, that used similar (punch card) standards. In this respect it should be noted that the national giro, during the previous century, was plagued by several operational distortions, leading to 'giro stops'. One big one occurred in the 1920s and shut the system down for almost a year, other ones happened after the second world war. These stops instilled a big trauma into the organisation with the effect that when in 1965 a change was made to using punch cards and mainframes, this was done with meticulous scientific precision in order not to fail. Ever since, the postal giro (later Postbank) would be very keen and strong in the area of operational logistics and control. For the most part of the evolution of Dutch payments, there were differences in technology used. A first attempt to bridge these differences occurred after the second world war when a commission on the integration of giro traffic tried to bridge the bankers vs giro gap. This didn't work out. In the mid 1960s the bankers were keen to find funding in the retail market and realised they needed a better clearing system to process faster payments. While they were in the process of deliberating this move, the postal giro offered them to join/use the same standards as they were, in order to achieve uniform processing. For strategic reasons, the banks decided not to do this and chose a slightly modified technology and numbering system of their own. Remember: this was of course the age of shielding off markets by technology. The net effect for the consumers and companies was less positive however. In the end it took some 30 years to create bridging standards/protocols to integrate the different payment standards of bank and giro. And even when the digital, networking time started (in the 1980s) banks and giro found it hard to abandon the classic competition by technology paradigm. For the EFTPOS network they did use a common standard and this also seemed to work for the Chipknip e-money products. Yet, due to misunderstandings and distrust at the board room level, the Postbank decided to jump the Chipknip ship to start the separate Chipper product. Again, the effect was that consumers and retailers were burdened with dual standards in a market that is too small to do so. With the deregulation of financial markets and the privatisation of the Postbank, all providers of payments were commercial companies. The Dutch banks grew bigger and with that their bureaucracies. Postbank gradually lost its touch-and-feel as a former public entity and became a bank like all others. The best event that symbolises this is the abolition of the Postbank brand by ING. The net effect of becoming bigger and more ambitious is that straightforward customer research and marketing gets stampified. This is a word that I coined to denote the fact that in those big banking bureaucracies the responsibilities of employees - with the only exception of the board - becomes limited to the size of a postal stamp. The result is that these companies (marketing) departments require more time for internal debate, offcie politics and consensus-finding which they can't spend at finding out how to best serve the customer. The consequence of this stampification is that the banks lose touch with their customers and reality. Our last retail payment product, the Chipknip, showed this most clearly. The ridiculous local battle between two competing e-money schemes (although perfect from a competition perspective) created so much nuisance for retailers that this inspired them to get back at the banks. Infuriated by high terminal switching costs, they found the newly set up competition authority at their side to fight the banks cartel behaviour. Back to inward-based-marketing: the best (and typical) example is the way the Chipknip product was initially taken off the market. Banks informed the customers that they all had to unload their Chipknips at specific loading/unloading points. This lead to a big confusion and questions on twitter. Eventually some individual banks decided to give the money back on the basis of the internal administration so that customers didn't need to bother going to an obscure loading point. And then, quickly, all banks decided to do this. I sincerely hope that we will no longer witness these old school thinking marketing methods in the new year. Banks need to find a way to innovate and listen to clients and society or they will be trapped in old behaviour that is only comprehensible from a stampification point of view but not understandable for customers outside the bank. If history is anything to go by, we may well see a repetition of the SEPA-dynamics in the banking domain. What I mean with that is the following: as banks are busy lining up their internal systems in order to conform with a whole range of upcoming new EU regulation (keywords: PSD2, MIF, AML), the non-banks will be able to build all kinds of new products at the fringes of the payments market. Most of these new products won't be made from a payments perspective but will solve a user problem. Creating a payment button in these products doesn't require much more than a direct customer relation and a European direct debit agreement. So we might well see the banks moving into a back-seat role of providers of the payment rails for non-bank providers of user services. A hundred years ago, the first World War was gradually developing. The political and military turmoil affected the stock exchanges all over the world and the Dutch stock exchange closed. In the Netherlands a run occured for physical silver and the government decided to issue the so-called 'Zilverbon', which was a future claim to physical silver as it would become available. Almost overnight, the payments infrastructure was changed; an infrastructure that was mostly based on the use of cash rather than bank accounts and payment instruments. Fast forward to today: after a long period of careful planning, we are again at the verge of changing our payment infrastructure by moving to European standards in the retail payments domain. Both political and economic drivers have caused a massive technical change, which to the consumer is mostly visible via the ultralong new bank account number IBAN that has to be used as of tomorrow. What changed in the mean time? - an improvement in living conditions, welfare and wealth. It is not easy to distinguish the underlying changes in our society. Technological change may often appear to be progress while it simply reflects and allows the human faults to be reproduced on a more advanced level. Still, I would hope the most significant change over the last century to be that we have created a number of institutions (UN, GATT, BIS, World Bank, IMF) that allow countries to not fight their battles on the ground but in economic terms. There are of course deficiencies within these institutions, but I would hope that we will move forward in using these structures to limit the amount of military conflicts as much as possible. On Friday, the 16th of May, the Euro Retail Payments Board (ERPB) held its first meeting in Frankfurt. The start of this new institutional body may raise questions in the industry as to its exact objectives and what it will achieve in practice. However, Dutch history shows that there are clear benefits to having long-term standing committees in the retail payments sector. Originally, the Dutch market for retail payments consisted of privately owned commercial banks, savings banks and cooperative banks that competed with the government-operated Postal Cheque and Giro Services. The system design of these providers differed. The private players had set up the so-called Bankgiro system as opposed to the Postal Giro system of the State. In the 1980s, the technology difference served as a barrier between the institutions, which remained in place until the State privatized its Giro-services in 1986. Subsequently the work started on the harmonization of technical standards by means of the work on the Dutch Payments Circuit (Nationaal Betalings Circuit). It took until 1998 for all the different types of payment mechanisms to be fully harmonized. Although it did take quite some time to harmonize the technical standards in the Netherlands, the regular interaction between industry players improved the trust and willingness to cooperate on issues of common concerns. So when the need arose, in the 1990s, to drive down the costs of retail payments a dedicated task force was set up. The task force developed an array of measures and communication to steer the users to the most efficient payment mechanisms. The effects in changing the payment mix in the Netherlands were clearly visible. At the end of its term, in 1995, the task force was converted into a standing committee on the efficiency of payments in which both the demand and supply side were represented. This standing committee was the precursor to the National Forum on the Payment System that was set up in 2002. This National Forum functions as the platform in which issues with respect to retail payments are discussed between representatives of suppliers and users of retail payments. Over time, the Forum has established working groups on the migration to EMV, on the migration to SEPA, on usability, security and efficiency. It has become the platform for discussion of market developments and collective decision making to improve payments in the Netherlands. For example, when the 1 and 2 eurocent coins in practice created too much confusion for consumers and unnecessary costs for merchants, the members in the forum agreed to abolish the use of these cents and to implement a rounding procedure. This improved the efficiency of Dutch retail payments by approximately € 30 million per year. In the Dutch situation there have been many participants to these standing committees and working groups that at the time felt that a lot of their work amounted to pushing back and forth paperwork rather than contribute to real life problems. And to be honest: at some stages of the process or in some working groups this may have been the case. I have spoken to quite a number of participants to such committees and working groups. In hindsight most of them acknowledge the value of the trust and bonds that are being built by working together with opponents and competitors on issues of interest. These bonds and relations spilled over into an increased trust and cooperation outside the formal scope of the committees an working groups. Both board members and technical experts create a wider and trusted network of counterparts that were consulted when the need arose. We should therefore recognize that apart from the actual output, the ERPB work in itself will also create trust an bonds in the European retail payments industry. This will unlock further potential and further cooperation that will be beneficial to all in the retail payments sector. It is this 'hidden value' that must not be underestimated. The so-called Working Group on Efficiency in Payments: ‘Werkgroep Efficiency Betalingsverkeer, which was chaired by Mr. Klomp, a highly respected representative of Dutch retailers. 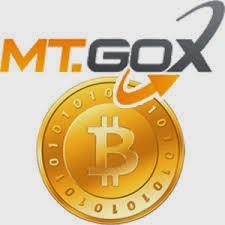 This week, Mount Gox, a very large provider of bitcoin services, couldn't live up any more to its services agreements with bitcoin users. It provided exchange and storage services for bitcoins, but due to a technical implementation flaw, the bitcoin holdings of users were compromised. Essentially it wasn't clear who really owned the bitcoins. The website went black and users can no longer claim their bitcoins. I view the failure of Mt Gox as a logical consequence of the learning curve that bitcoin holders and bitcoin companies face. The bitcoin, although considered decentralized, is just as centralised a system as any other value transfer mechanism. However, for ideological reasons, the developers chose to only describe the technical heart of the system (the algorithm) leaving the rest up to the market. As a result we have seen a whole community of interested companies and users climbing up the payments, banking, investments and monetary learning curve. The inevitable consequence is that those who do not get it right, will pay a price, while the others continue to learn. Due to the digital nature of bitcoin, these developments unfold rapidly, allowing us a compressed overview of interactions and developments from financial history. The essential lesson at stake is that the usage of any value transfer mechanism does not just rest on its acceptance by users, but just as well on the rules and regulations that underly the value transfer. In 1914, the Dutch lawyer Frijda analysed this topic in his dissertation on the theory of money. At that time discussions emerged on the nature of banknotes. Did they have value because they were exchangeable for bullion, because they were defined as legal tender or because the public used and accepted it? Frijda pointed out that the underlying legal framework that safeguards property in a society constitute a necessary precondition for the use of payment instruments. Without such safeguards, people will tend to stick to other stores of value rather than attaching value to local bank notes. Until today this effect is clearly visible: consumers tend to hold and use foreign cash or commodities if they live in country with a lot of curruption, a weak system of justice and an instable monetary climate. What makes money tick is a solid institutional basis, upon which trust can be further developed. The latter part can be done by a combination of regulation (supervision) and self-regulation (market action). Which brings us back to the Mt Gox cas. Following the events of this money, a statement was released by the bitcoin companies Coinbase, Kraken, BitStamp, Circle, and BTC China. The industry leaders committ to safeguarding the assets of customers, to applying strong security measures, to using independent auditors to ensure integrity of their systems and to have adequate balance sheets and reserves to be able to ensure continuity. In sum we can now see both a gradual development of both the institutional framework for virtual currencies and the market-driven self-regulation. This reflect the fact that - whether you like it or not - trust for financial services is always built on institutions, regulations and self-regulation.